AFTER ten years in London, I have finally come to appreciate Covent Garden. Like so many Londoners, I've shyed away from the area, where the tourist overflow from Leicester Square has made even the most leisurely of walks near impossible. But recently, I've changed my mind. Now I see WC2 from the likes of Eric Clayton, Paul Smith, and Randolph Hodgson, all of whom saw its potential and experienced its heyday. While in terms of food destinations, there are better places to visit like Bermondsey, London’s now flourishing food industry began here in Covent Garden. 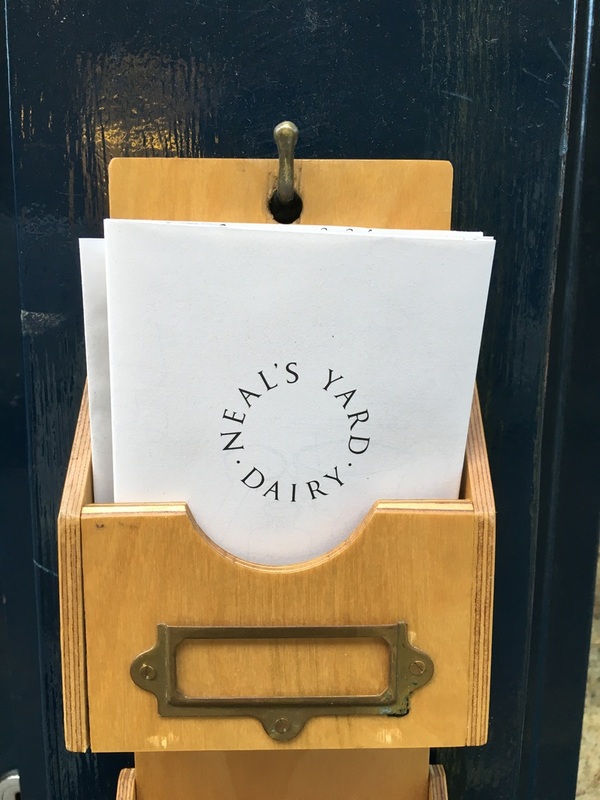 Neal’s Yard Dairy and Monmouth Coffee first started in Covent Garden and the vision of Nicholas Saunders, Randolph Hodgson and Anita LeRoy continues to influence London's current generation of food artisans. To give a very plotted history, Neal Yard Diary was established in 1979 by Nicholas Saunders who saw the potential of a duplicated part of WC2. He created the Dairy, Neal’s Yard Remedies (organic skin care and natural remedies) and nearby Monmouth Coffee Company. After moving on in the early eighties to do other things, Randolph Hodgson and Anita LeRoy took up the reins: LeRoy at Monmouth and Hodgson, at Neil’s Yard Dairy. 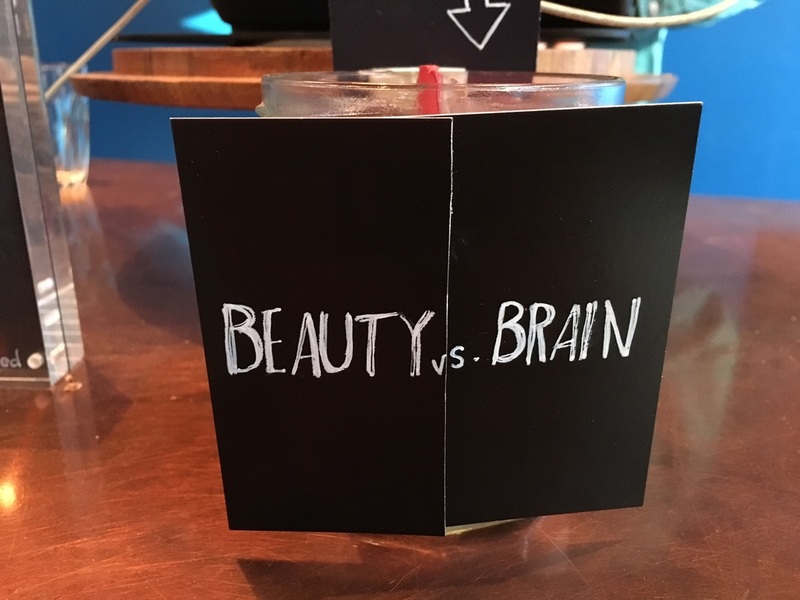 Both have set the standard by which all other coffee roasters, cheesemongers and independent food stores are now compared, having never lost their commitment to what they do and passion for remaining independent businesses. 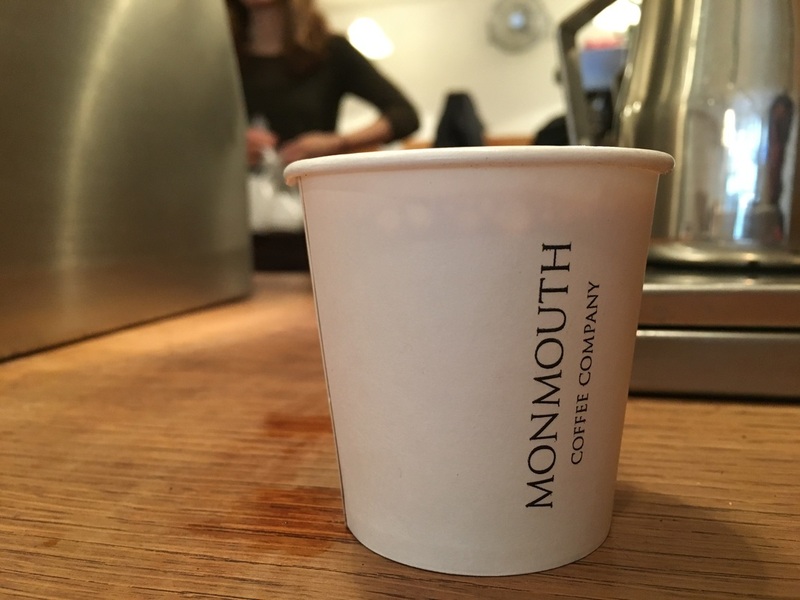 So back in 1978 (yes 1978), Monmouth Coffee started roasting and retailing coffee, and encouraging its customers to try before buying its beans. Single origin coffee, cooperative producers and tastings were novel concepts, revolutionary in fact when you consider the food wasteland that was then the UK. Monmouth Coffee still has a home in WC2 but it roasts its coffee at its Bermondsey arch. That said, this small coffee shop just past Seven Dials continues to be a popular destination for people in search of authentic coffee in London. A similar approach to tasting, engaging and understanding the origins of food was at the heart of Randolph Hodgson’s philosophy for Neal’s Yards Diary. His vision was to create a store that would select, mature and sell British and Irish farmhouse cheeses. Not only did he play a lead role in reviving a then-declining UK cheese industry, but he helped build the reputation of today’s London Borough Market and now Bermondsey. To understand how big Hodgson is to the British food industry, you simply need to speak to some of the city's best food producers like Dave Holton (Blackwoods Cheese Company), Adrienne Treeby (Crown & Queue) or Jayne Duveen (Jacob’s Ladder). Their admiration for Hodgson and the philosophy still at the heart of Neil’s Yard Dairy makes for very attentive listening. Beyond these British food icons, other personal favourites of mine among the crowds of Covent Garden include Augustus Harris for late night cicchetti. Perfectly sized and with a menu just as it should be, it reminds me of all those nights in northern Italy hopping from one bar to another fuelled by bite-size appetisers. For something more substantial, try Ten Cases. With a menu and a wine selection that is impeccable, this boutique wine bar/ restaurant is always worth considering. Why the 10? They only ever buy ten cases of a wine at a time and they only have ten tables. 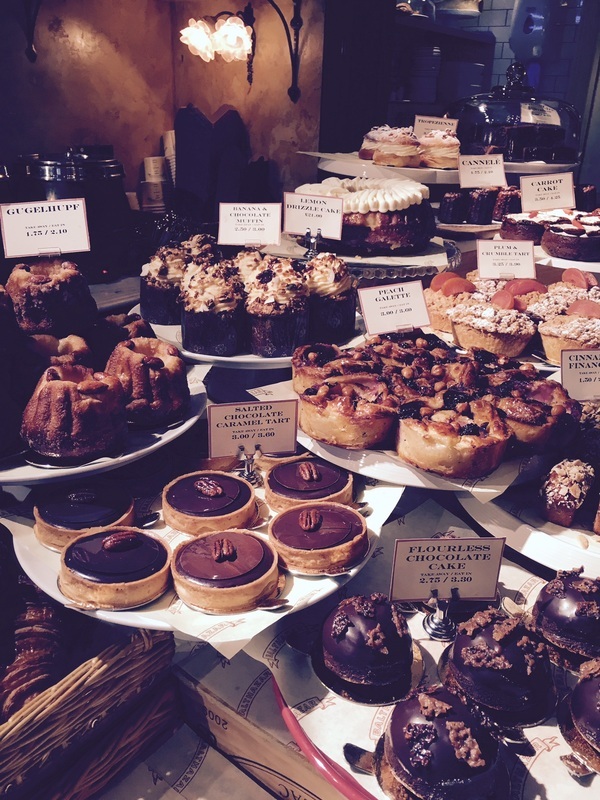 On the sweet end, Fabrique and Bageriet are our default choice for cardamon buns and other Nordic pastry. For ice-cream, you can never go past Udderlicious. Our favourite is the dark chocolate & sea salt sorbet. For home wares, I like what you can find at Aram, especially the Domus range inspired by the shape of a 1930s bicycle pump, and then of course there is Balthazar Boulangerie. This original New Yorker landed on our shores a few years ago and the bread is worth travelling for if you are in the area. And then there’s Freud. 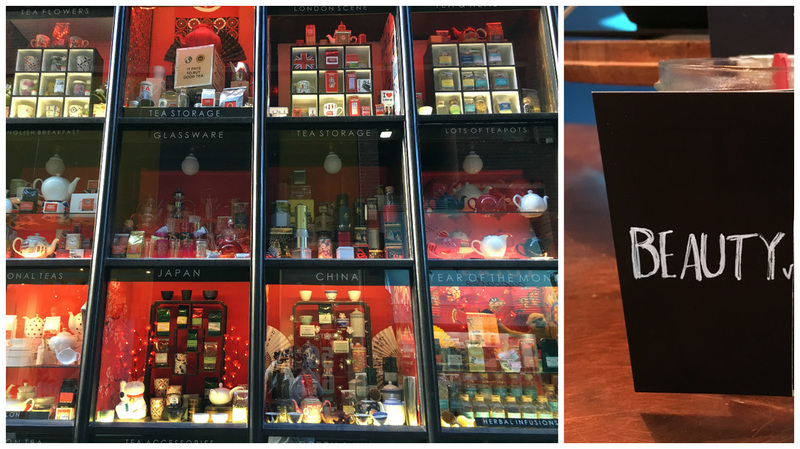 The home ware shop has now closed (you can still order online though) but the bar remains. It feels early nineties, where the notion of urban cool was still being defined. Order yourself the gimlet, settle in and have a great night.